Are you beginning to focus more on the types of food and the quality of food that you’re preparing in your home for you and your family to eat? Many people consider eliminating certain types of food from their diets or look into vegetarian and vegan lifestyles without realizing that there’s another option out there to pursue. Not only are you improving your health and helping to reduce the risk or symptoms of several chronic diseases with a plant based diet, but you have the opportunity to choose exactly where the food you choose to consume comes from. At WP Rawl, we believe in supporting local farmers and doing so by partnering with them to help grow fresh veggies, as well as buying their products for our own families to enjoy. With weekly meal planning and meal prepping, transitioning to a plant based lifestyle is an easy transition to make. In the recipe section of our website, you can find an abundance of delicious recipes that you can easily work into you and your family’s day. Two such recipes that are great for this time of year? Our Pumpkin Spice Overnight Oats and our Super Greens Soup. Our Pumpkin Spice Overnight Oats (link to recipe once it is live on website) are a delicious addition to your morning breakfast routine this time of year. You can skip the Pumpkin Spice Latte and fulfill your pumpkin-craving with a more natural, plant-based choice in the morning. 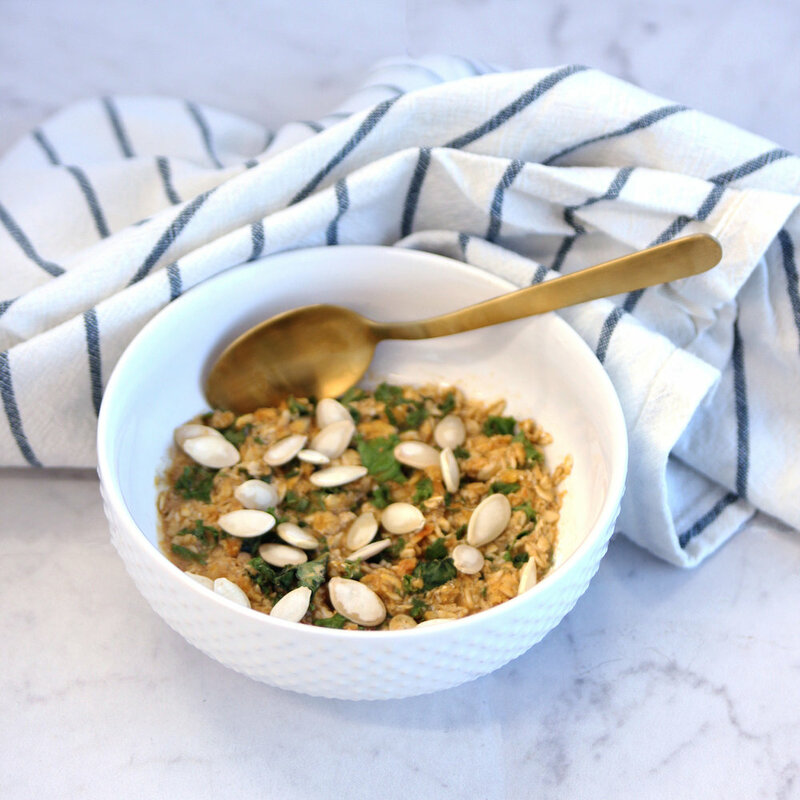 These overnight oats include rolled oats, pure maple syrup, ginger, cinnamon, canned pumpkin, chopped kale, and roasted pumpkin seeds to create a delicious, quick breakfast for you. The best part? You can make these oats ahead of time so that they’re easy to grab and go in the morning. If you want to be sure that you’re sticking to your plant based diet, skip the canned soup aisle at the grocery store and pick up ingredients instead to make your own savory soup. Our Super Greens Soup (link to recipe once it is live on website) is delicious, full of great nutrition, and comes together easily on a weeknight in less than 30 minutes. We want to see how you’re incorporating a plant based diet into your life! Take a picture of you shopping for your plant based ingredients or of your meal, and share it on social media using the hashtags #backtofresh and #naturesgreens. We’d love to see what kinds of recipes that you’re cooking up in your kitchen! Follow us on Instagram for more recipes and behind the scenes on the farm!